Ok, let’s just leave all pre-conceived notions + expectations about hot chocolate – and dairy-free hot chocolate in particular – at the end of this sentence. Because this rich and luxurious version is going to knock your socks off! And before we go any further, we are going to start calling this dairy-free hot chocolate “sipping chocolate.” Because let’s face it, it is SO rich and eyeball-rolling delicious that 1. You’re not going to be able to drink much without getting a tummyache and 2. you’re going to want to slowly sip and savor this exquisite drink. Let me say it a little differently: this drink is a DESSERT. A special-occasion/holiday-time/drink it 1-2 times per year kind of dessert. Something we can look forward to drinking all year long! 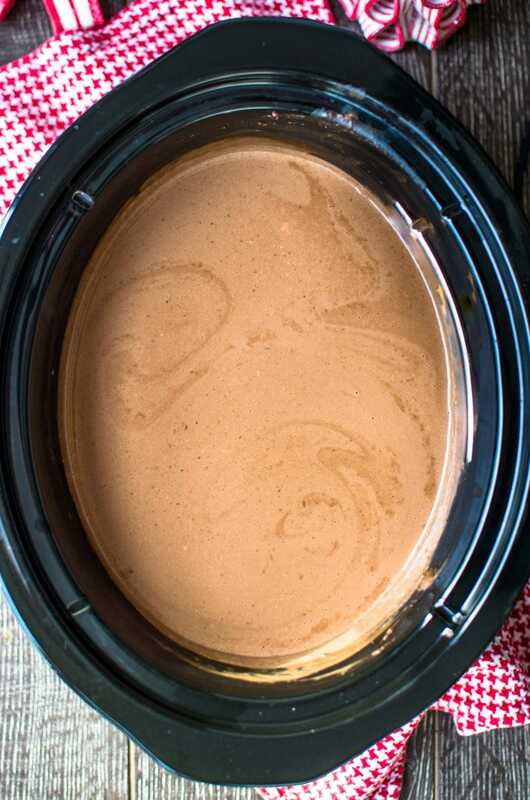 Now that we’ve determined that this is the ULTIMATE hot chocolate – ahem, “sipping chocolate” recipe that you need to try ASAP, let me give you more good news: you can make it in the slow cooker. Enough for everyone at your party to have a taste. Go ahead and double the recipe if the size of your guest list demands it – it will turn out just fine! Are you convinced yet? Are you ready to make this stuff to serve at your gingerbread house gathering or cookie exchange or brunch with Santa? Then I will leave you to it, my friends! Enjoy, and please let me know if you try it! I’d be DELIGHTED to see a picture of your sipping chocolate – just upload it to Instagram or Twitter with the tag @sweetcaynne5! 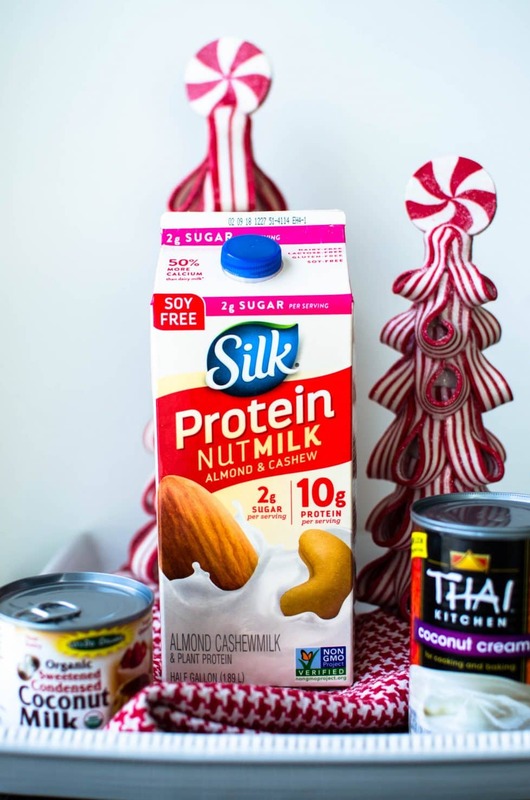 Dairy-Free Sipping Chocolate + A Regular Version Too! Combine all ingredients in a slow cooker. Heat on low heat for 2 hours, stirring every 30 minutes. Serve once all ingredients are thoroughly combined and heated through. 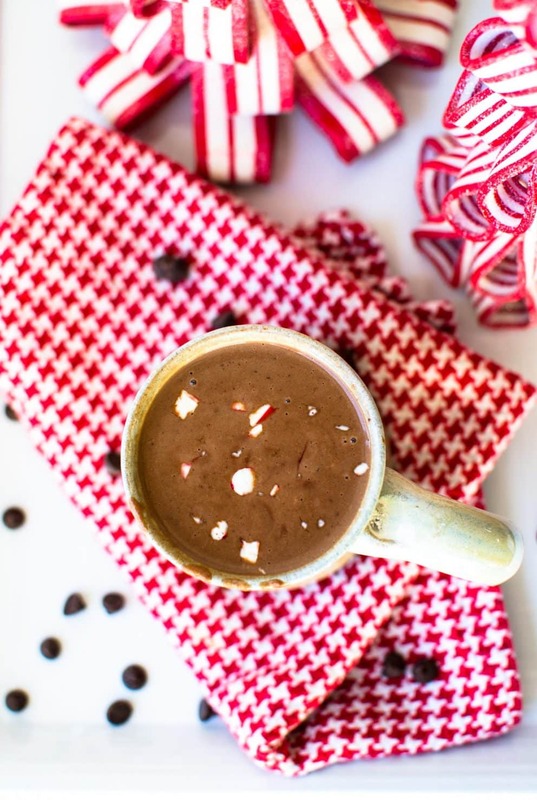 Serving suggestions: serve with crushed peppermint, a candy cane, mini marshmallows, a sprinkle of cinnamon or espresso powder, a shot of espresso, a shot of peppermint, orange, irish cream, or coffee liqueur, or over a scoop of ice cream! Sipping chocolate may be cooled and stored for later use up to 1 week. I recommend straining it for storage and reheating individual servings gently over low heat on the stove top. 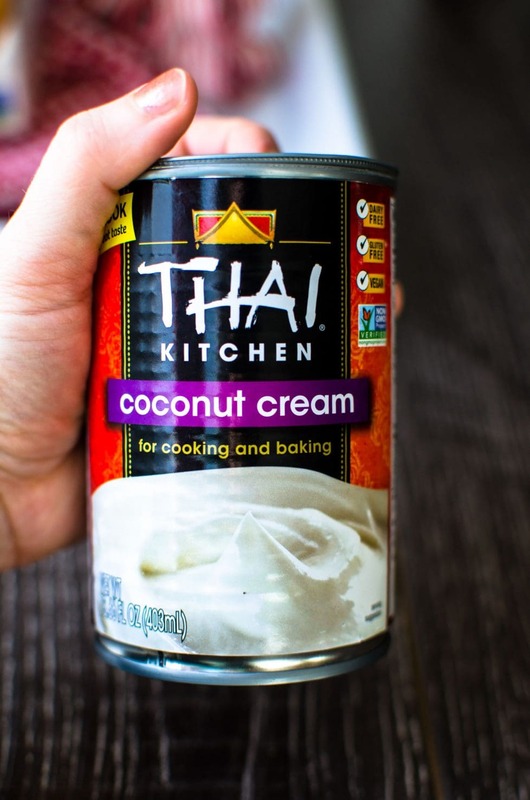 You can also reheat larger quantities in the slow cooker on low, stirring often! 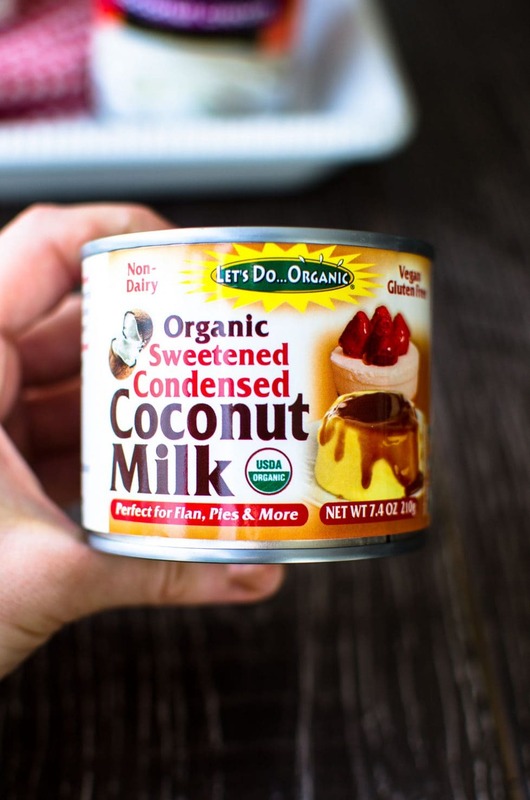 **If you can't find canned coconut sweetened condensed milk, use this recipe to make your own!